Give your students the opportunity to learn about critical design aspects of an electrophoresis unit by engineering one! What actually happens in an agarose gel electrophoresis chamber? Reveal the secrets of this “black box” with Bio-Rad’s STEM Electrophoresis Kit. This activity addresses the fundamentals of STEM with an integrated hands-on approach. This gel electrophoresis unit is designed to run the Bio-Rad IDEA kit, which will bring engagement and an additional inquiry component into your classroom. For secondary and college level instruction, students will learn about the various components of a horizontal gel electrophoresis cell and what their critical properties are in order to achieve optimal separation results. For middle school instruction, students will get their first experience with a key biotechnology technique. 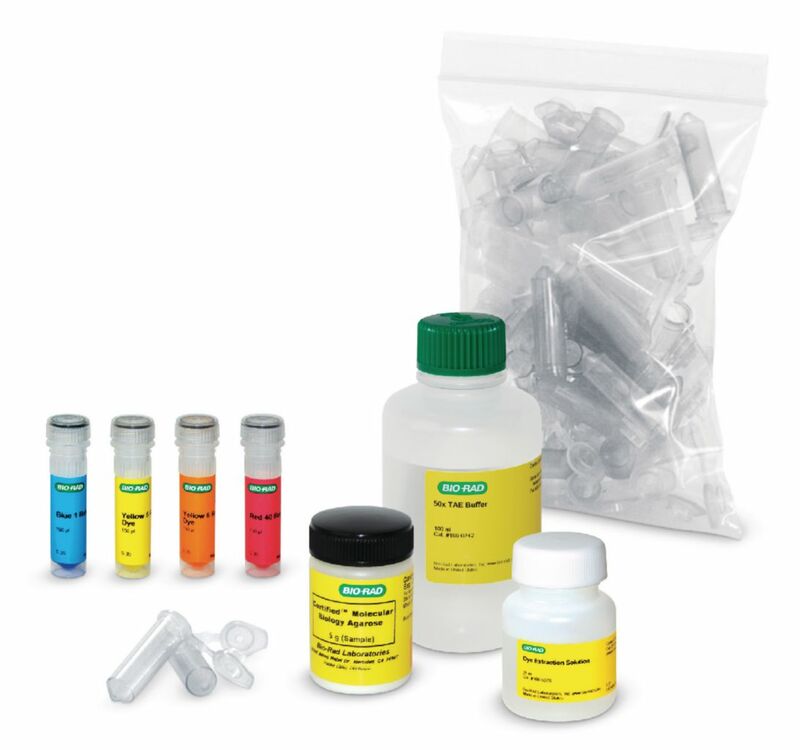 Ordering information: All kits contain IDEA Kit Reagents (Reference Dyes, Dye Extract Solution, Microcentrifuge Tubes), plus TAE Buffer, Agarose, Electrophoresis Cell, Electrodes, Electrical Leads, Combs. Complete Starter Pack contains all items listed above, plus 8 Fixed Volume PIpets and a bag tips.